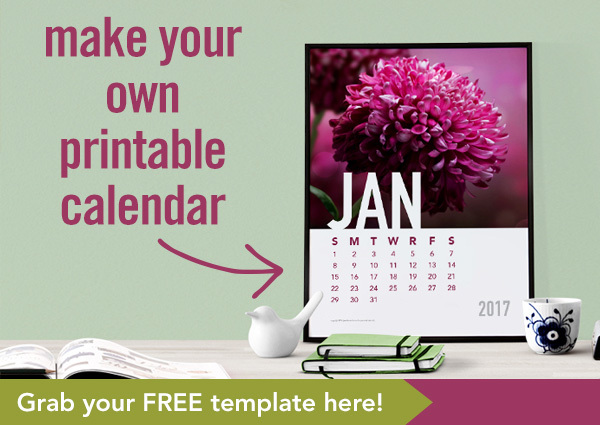 Here’s a DIY graphic design project for you: create a branded monthly calendar pdf for your business. Health coaches, you can use the calendar templates to create a branded pdf that showcases a healthy recipe each month. Dog Groomers, you can use the calendar templates to create a Pup of the Month calendar. 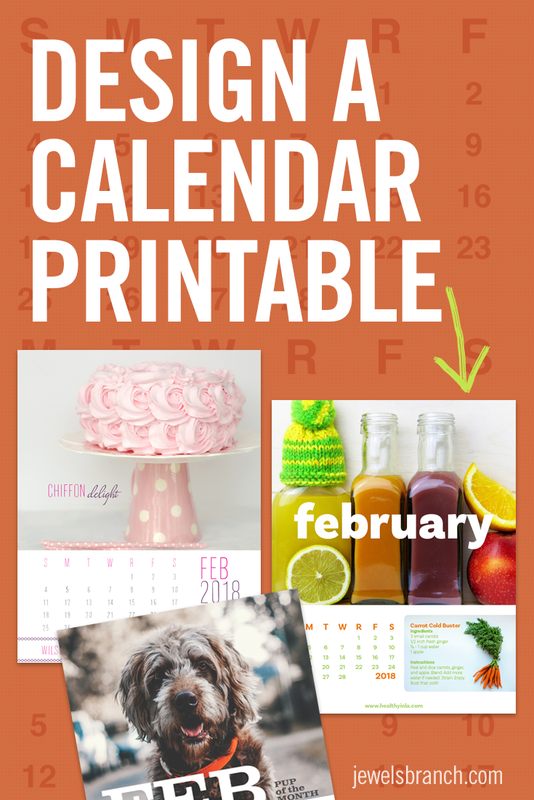 Bakers, you can use the calendar templates to showcase your tasty treats each month. Brainstorm some content you could share each month, download the template and go make your own calendar! This project includes templates (InDesign, Pages, Photoshop, and Illustrator formats) along video tutorials to help you create a branded monthly calendar to share with your audience. Download the template, customize the calendar months to match your brand style, add in additional content, and save out a pdf of the calendar to share with your clients and customers. Each template has pages for all 12 months of 2019. Each month has all the days/dates included. Tutorial videos show you how to customize the template. Looking for a Done For You option? Want us to make a calendar for you? We can! Book a consult here! This project includes templates (InDesign, Pages, Photoshop, Illustrator, and Canva formats) along video tutorials to help you create a branded monthly calendar to share with your audience. Download the template, customize the calendar months to match your brand style, add in additional content, and save out a pdf of the calendar to share with your clients and customers. Each template has pages for all 12 months of 2018. Each month has all the days/dates included. Tutorial videos show you how to customize the template. Make a present for your clients (or for yourself). Sign up to grab a one page calendar template (in the design app of your choice) and go make a printable calendar for your clients. Add your own feature photo. Update the calendar text to the month/dates/year of your choice. You can also add more pages and months/dates to make an entire year calendar printable. Change the fonts to match your branding, or leave as is. Change the colors to match your branding, or leave as is. Add your logo and website address, if you want. Save out as a pdf. Send to your customers as a gift. FREE! Practical, step-by-step brand and WordPress training for fiercely independent business owners who are ready to be seen online and want to DIY their website.